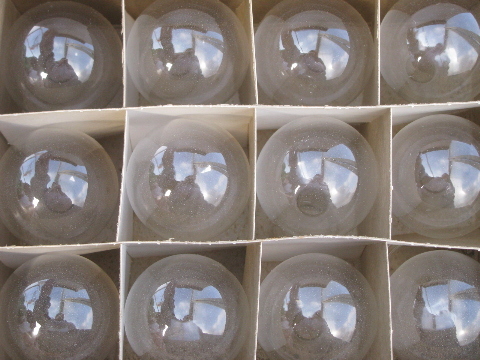 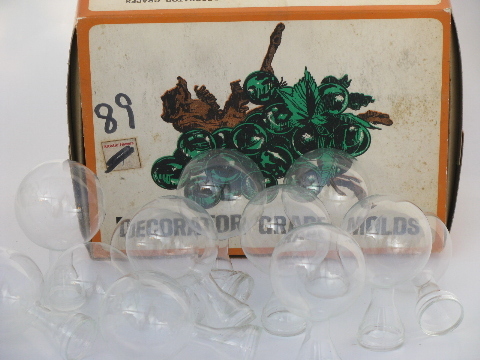 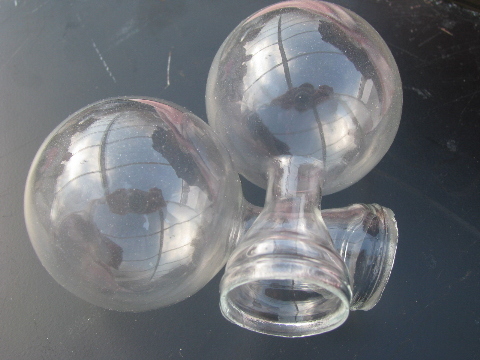 Set of twelve round glass &apos;bubble&apos; shaped molds, still in the original box (priced .89 cents!). 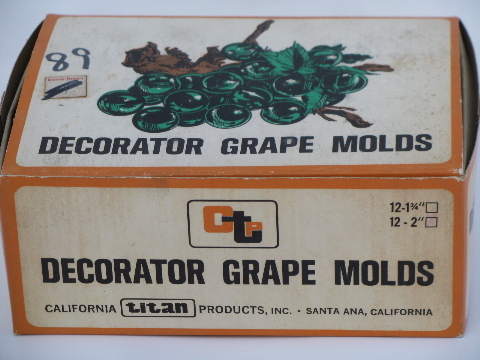 These are what would have been used to make those big colored lucite grapes, late 60s or early 70s. 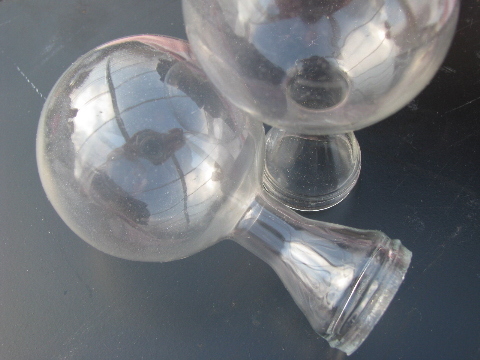 There aren&apos;t too many of these left around, as you&apos;d need to break them to remove the cast product. 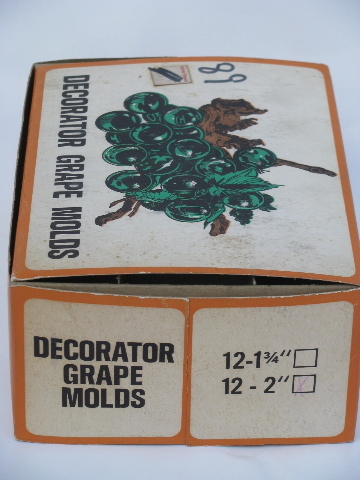 We think these are too nice to destroy after molding - they&apos;d make great little round bottomed bottle vases or tiny terrariums, just 2" in diameter.